A 3D slow crawling platformer about ordinary people’s exhausting lives. Everything is slow and sleepy as you in v0.4.2. 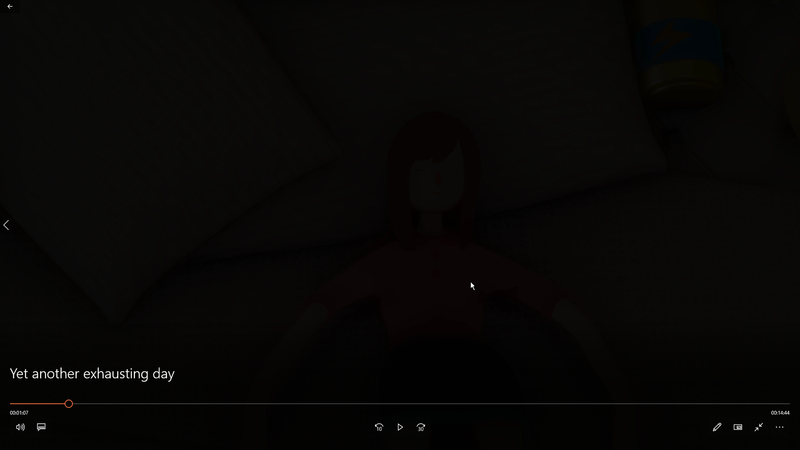 Don’t faint in the bathroom in v0.4.1. Supports Polonais and Français now. 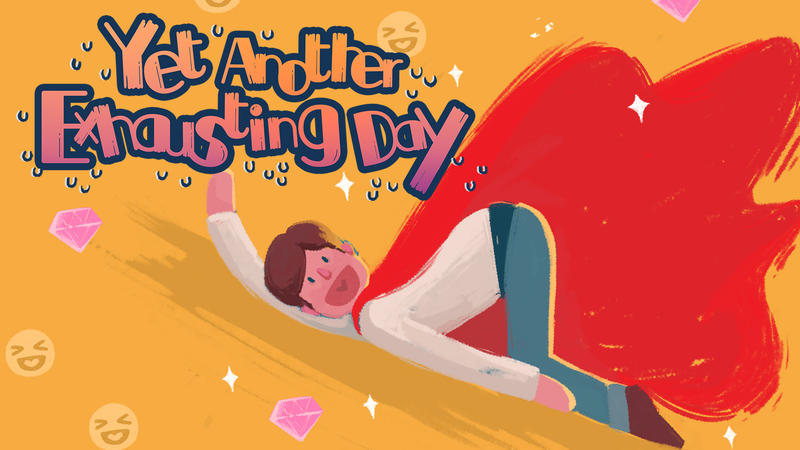 It's super cute, with a crazy slick amount of polish for something free, and some of the most fun and charming visual metaphors for just being TIRED. Thank you A G Moody for the recognition and feedbacks. I loved the physics and execution of this game. Great concept! Read my review about it here. Game about being too tired to do anything: R E A L S H I T? #Relatable. A really interesting concept. We had a lot of fun playing this! Just relating to real life. Nice Game.. Very fun and well executed concept! : ) Thanks Heircot. Happy new year! I'm sorry to hear that Kacha. Could you describe what exactly happen? Thank you for detailing the issue, my friend. My apologies for causing trouble to you. I have reported the problem to my team, we will try to find out the reason. Some of the levels are pretty challenging as well which is cool. I really loved this game. Had some hilarious controls and a great concept. The controls seemed difficult at first but once i got the hang of it i had a great time! Your feedback about the controls are very helpful. We really need to know if the update works. Thank you PEK. This game was hilarious to play. I can relate to it so much. i did have a bit of a problem with the controls at first as they seemed to be difficult to use in the first few minutes of the game but afterwards, I got used to them and it was really fun to play. There is a perfect balance of challenge vs gameplay. I do feel like the game could do with more level as it was really short to play. It only took me about 15 minutes to complete. I go into more detail in my video. I hope you enjoy and good luck in the future. wow. That’s fast. We only updated the game last night and you already played it! There will be more levels and more contents coming. We are still developing it. Thank you for your encouragement. It was hard to make the video into a 10 minute video for youtube but if you take away all of my intro it took about 12 minutes to complete the game. I didn't start till I was 1:30 into the video (the original recording) and finished the game at the 13:42 into the original recording. You could possibly finish the game even faster which is why I recommended the game had more levels. Doesn't mean that the game was bad. Just that it may need more content there, maybe in the levels, add in more levels, create more modes that increase the difficulty of the game, create a speedrun mode or even have it so these first few levels introduce mechanics then make the levels larger and more challenging to complete. Just a few ideas for the game. Wish you luck in the future. Thank you for such a relatable game. As someone who has been working 11-13hr shifts and coming home to work on YouTube stuff I am exhausted. Haha. The game is really fun and I love the storyline I played. I felt that the head butting control might need a bit of tweeking but perhaps I just didnt know what I was doing. That tends to happen! 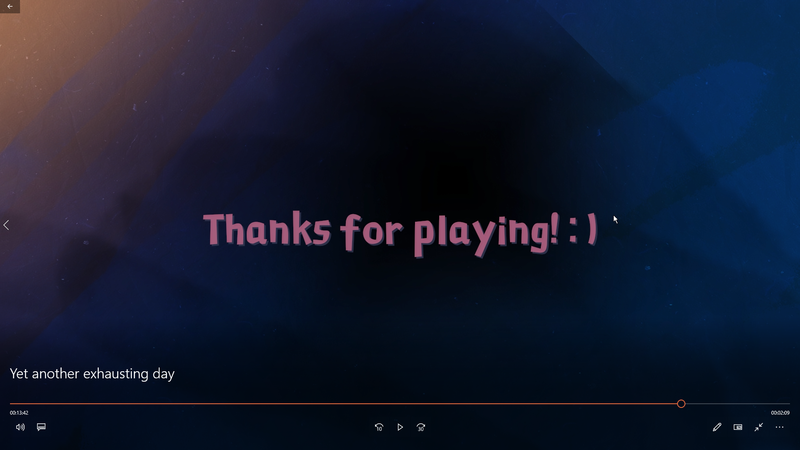 Thanks again for an enjoyable, heart warming game. Thanks for the recognition and feedbacks. We are adjusting the controls, and the new update has changed the controls to WSAD. Its much easier and enjoyable to control the character now. Please don’t hesitate to let us know how we could make the game more interesting. So I thought to myself when this game popped up was 'Why not give it a try?'. Not only was this game stupidly fun to play, it makes for good videos! This was the first game in this segment. Really glad watching you enjoy the silly fun of the game. Thanks for showing us the current design is worth playing. The game is fun, comedic, and different. The aspect of bashing your head on a plant to stay awake is funny on it's own, that and robots coming to bash yor had to dream land. It's the second game I played. Good game, hard as hell. We've done a lot of updates since you version you played. Please feel free to try again. I promise it's not that hard anymore. love the game! thought it was raging at times but in a good way! Very glad to know you liked it. We are changing the controls and gameplay. I guarantee you won't be raging again next time you play it. if you want to check, best of luck for the full release, cheers! Your playful and relaxing voice is really suitable for the humorous style of your channel. You managed the control really well. Have you figured out there are 3 types of sprints? How do you like the visual in this version? The title clearly says "Yet Another Day Exhausting". Can't understand your language, but I feel your sense of humor greatly. Nice work! This game is fun and gave me a challenge by playing through the levels, which can range from easy to difficult as I got closer to the end. If you like to play a game that challenges you every step of the way, then this is the game for you. 10 / 10! Thank you for the kind review. Cake Game Lady. We hope the game can be liked by more lady gamers. Thank you. Really glad you are up to the challenge and find it's interesting. I'm very sorry to hear that, Leila. Could you describe more about the situation? AAAAh okay, I really want to play but I can't! I've installed it and whenever I go to click the start button, nothing happens. I go to click any button with the mouse, and nothing happens. try mashing buttons on my keyboard and nothing happens. I've tried installing and re-installing, installing the second file(?) and it really just won't start the game at all. I know this is game is a WIP but have others had this problem too? I see. We have received similar reports. But we can't offer any solutions so far. I'll add a message here if we figure it out in the future. Thanks for sharing your experience. We learned something useful from watching you play. Thanks for trying this game again. Bobbly. This game is completely insane in the most wonderful way! It's a pretty action-packed and crazy-paced game for one where the main character is so zonked out! Wonky physics games are definitely high on my list of favourite genres to play, and this little slice of genius really is no exception. Trying to figure out the best ways to tackle each scenario is great fun, and the aesthetics and layouts are vibrant and really unique. Sorry for the late reply, Mikey. Thanks for helping us to see the values we never realized before. Your comments on game design provides a wide horizon of inspirations. I uploaded this like last week, but never found the time to post here. Anyway, had a ton of fun! Really enjoyed every bit of it! Nothing else to add, so I hope you enjoy the video! Love the update and the new charactors. It adds a little more personality to the game. Great work so far! Your wisdom and humor revealed in the video reminds me Mr White's brother in law from Breaking Bad. Haha. LOOL Thanks man. Thats a new one for me but i like it! !